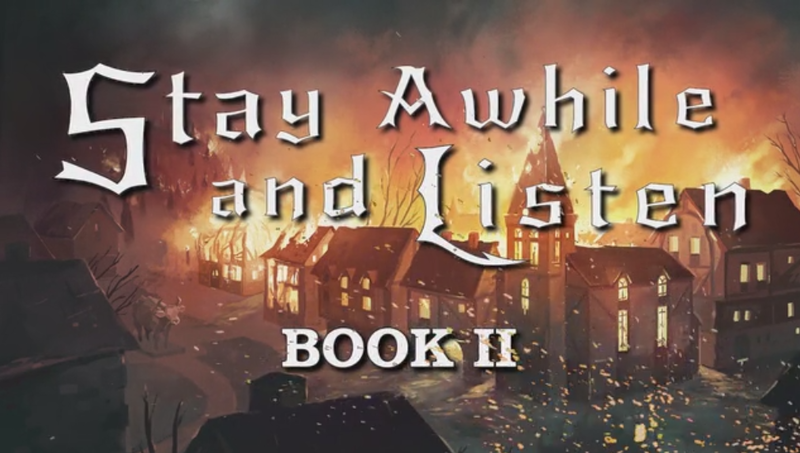 I was a bit worried about the state of the Kickstarter campaign for Stay Awhile and Listen Book II earlier this week. The campaign got off to a start that seemed sufficient for success. As I say about every single Kickstarter campaign, my general rules is “20% in the first 24 hours or go home.” I am sure there have been campaigns that have bucked that rule, but they are rare. Anyway, Stay Awhile made that mark, if only just, but kept going to just past 50% before entering the great middle period of malaise, that time between the start and the finish where the numbers just don’t change very much. This is why I think campaigns beyond 30 days are a bit of a waste. Shoving another 15 days into the campaign, like Codename Reality did, doesn’t really change anything. That is just a larger gap of time that makes it more likely that your potential last minute supporters will forget about you. We learned this all 20 years ago when eBay was going to make us all rich; a longer run isn’t necessarily better. There isn’t really a compelling reason to go past 30 days to my mind. So Stay Awhile loafed along for more than a week without much action, and as the end of the campaign began to loom, I started to get a bit nervous. The author did a bit of a “spread the word” campaign towards the end of that time, which got the campaign a nice boost, but things were lingering a couple grand shy of the goal right up until the end. But I ought to have had faith. The last 24 hours tends to see a surge in activity as those who were on the fence or who didn’t want to commit until things look good finally made up their mind. There was enough people jumping on board at the end to push the campaign past its $12,000 goal, with it ending at 110% funded. The charts over at Kicktraq give a nice view of the campaign. You can see the peaks at the start and the finish as well as the late boost that came from the author’s push. Now I just have to wait until June 2019 for the book. That sounds like the distant future, though only because my brain still isn’t comfortable with the idea that it is currently 2018. And while I wait I will have time to read the first book. This entry was posted in entertainment, Kickstarter and tagged Stay Awhile and Listen on August 4, 2018 by Wilhelm Arcturus.